Feelings seem to be at quite a fever pitch the past few days in my part of the world. It's hard to pinpoint what exactly the feelings would even really be except to say "overflowing". That kind of intensity may in part be explained by looking up to the sky. We're in a full moon cycle. It's actually a Full Moon in Leo tomorrow night. Often the intensity of a full moon seems to precede the actual event, so maybe it's no wonder the drama seems intensified. Perhaps tomorrow will bring some release and relief? I think such externalization can be problematic. Once you look outside yourself for a reason to be feeling anything less than happy or peaceful, you'll probably find all kinds of things to focus on. And if you've been practicing "let's pretend" http://pixiedusthealing.blogspot.ca/2012/12/a-game-of-pretend.html, you'll be able to create all kinds of painful scenarios. But once you create the scenarios, you might find it hard to get out of your pretend world. So if you've "pretended" yourself into a tumultuous place, pat yourself on the back. It means you are "the boss of you" http://pixiedusthealing.blogspot.ca/2012/11/the-boss-of-me.html. That's a good thing. That's a great thing! If you want to sit with that turmoil under the light of the full moon, and the intensity of the "nearly" full moon, go for it. Acknowledge your ability to grow this energy, nourish it, and live it. But take responsibility for it. You have the power. If you find yourself in a happy place, pat yourself on the back. It means you are the boss of you, and that's a good think. If you want to sit with that happiness under the light of the full moon, and the intensity of the "nearly" full moon, go for it. Acknowledge your ability to grow this energy, nourish it, and live it. But take responsibility for it. You have the power. "The full moon represents a physical and spiritual energy "peak", where spiritual and earth energies mingle; during this period, emotions and subconscious desires come to the fore. 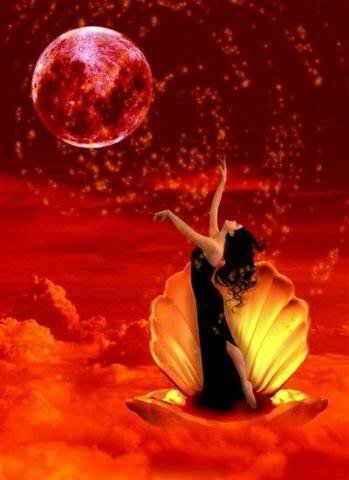 The energy of the full moon helps us develop our psychic gifts and reclaim our power." You have strength in your shadow. There is power to create in your shadow. Moonlight is a great time to let your shadow come out and play. Acknowledge your shadow rather than trying to find external reasons for how you feel. Be the boss of you. Embrace your shadow. Feel your strength.